Home / Latest News / Happy Doggies! 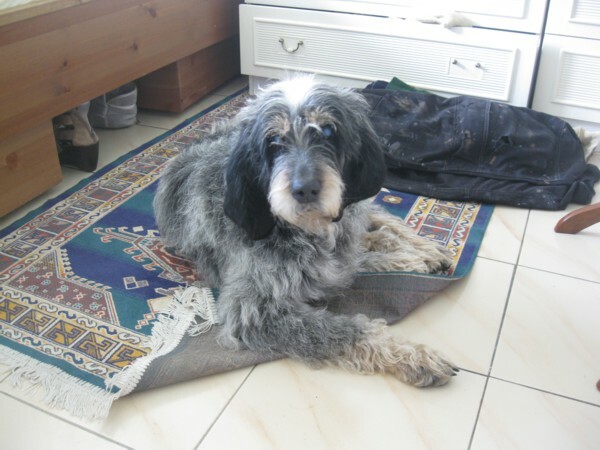 I am happy to report that all the dogs have arrived safely at their new home in Belgium. They were met by Animal Trust’s volunteers, who sound as committed as the Carcassonne crew. They ADORED the new arrivals; everyone was stunned to see Pepere, they have never seen any dog quite like him before! Venusio and Jojo stole hearts straight away, and Carbon has become a typical black lab, running round the fields like a lunatic. As for Murphy; he is still pulling like a tractor, but he will calm down soon, when a daily run becomes the norm! Once again a huge THANK YOU to Eline at Animal Trust for this incredible lifeline, and to Sarah and Ruben for driving the dogs to safety and their new life. In other news, we have photos of yesterday’s two other lucky dogs. You would have assumed that both of these dogs would take ages to find homes, but thanks to the generosity of the human spirit (well, some humans), both these needy dogs were out in double quick time. 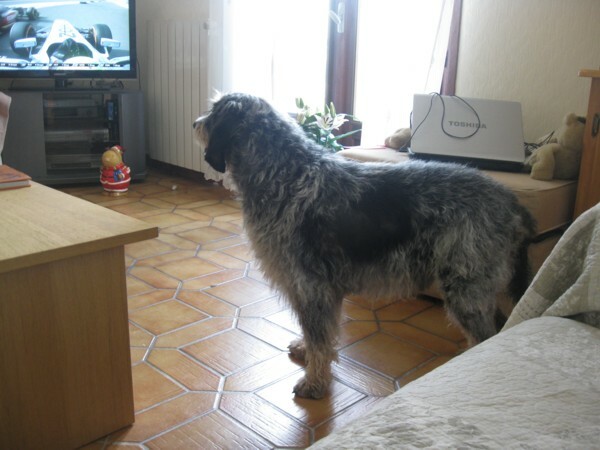 Here is Ray, now renamed Castro (after Giovanni Castro, the big hairy rugby player) who is looking beautiful and is enjoying watching TV while he can still see. Soon he will only be able to listen to Formula One! 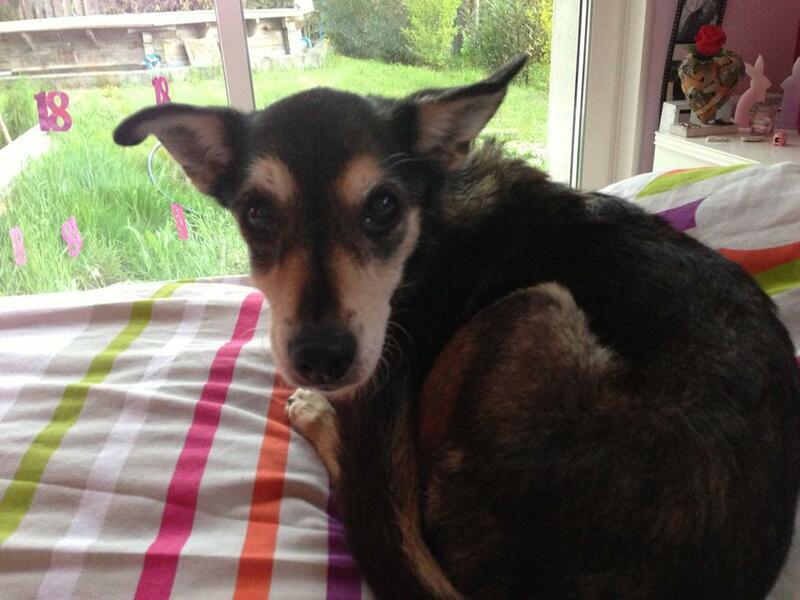 And here is 15 year old Doudou, who left her lovely (and tearful) foster mum yesterday and now has a permanent home. Next: And the Good News just keeps on Coming! So happy to read that these two have found loving homes. Just goes to show that not all the angels are in heaven.